Daily Hair Care today is no longer limited to only washing them because we want to have beautiful hair – shiny, healthy and strong. Currently, we care for our hair in a series of treatments, which takes up much of women’s free time, regardless of their age or previous experience with hair care. Manufacturers of various cosmetics are also trying to enable potential customers’ need to have many cosmetics. Hair care should go straight to the heart of the matter – purchase of the appropriate cosmetics. The choice is really impressive, so we can find the right products before we have serious problems with hair. If you do not know anything in this beauty field, don’t hesitate o ask a specialist in the drugstore for cosmetics, which can be easily matched with your needs – just answer the questions of the specialist and you’ll usually good to go. It is not worth to use for daily hair care cosmetics not properly matched to the condition, type and length of our hair. It may end in considerable hair problems or side effects. For example, if you have damaged hair, often treated with hair dryer and iron, it is best to choose cosmetics for dry hair, which are damaged or easily breaking. The ingredients in this type of cosmetics will help us to deal with specific problems, restoring our hair shine. 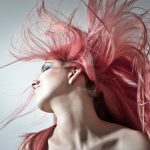 In the case of dyed hair, a good choice would be a shampoo, conditioner and mask for colored hair. To see the most appropriate effect, you should use cosmetics from the same series. If we know how to care for different types of hair, the daily rituals will become much more enjoyable and the results more visible, which will motivate us further. Selecting the appropriate cosmetics is only the first step on the road to success when it comes to beautiful and healthy hair. Another is, of course, a proper care, which must be regular and thought out carefully. While taking care of your hair, do not forget about moderation, since overburdening them with too many cosmetics can end up with the greasy, stale and simply ugly hair. Daily massage of the head, thorough, but gentle washing plus conditioner on average once – twice a week should certainly be enough to get satisfactory results. Remember, however, that any treatment must take time and the effect of the use of even the most expensive cosmetics will be visible after a few applications at the least. Choosing the right cosmetics should not be dependent only on their higher price Surely, it is wise to add a few pounds and use professional cosmetics, which can be purchased not only in hair salons but in most modern cosmetic stores. Their effect is always stronger, and thus – we can get hair we dream about much faster and for much longer.